Realtor - Amanda S. Davidson: Should Sellers Get a Pre-Listing Home Inspection? No two inspection reports are the same. Don’t expect for the same items to be found during the buyer’s inspection if you’ve had a pre-listing inspection. Some will be the same and some will be different. Inspectors are human and that factor alone means there’s going to be varying opinions and findings. Hi Amanda S. Davidson, like you, I wouldn't suggest a home inspection on every home for different reasons but it would be beneficial on some. My buyers canceled a contract after the home inspections just last week. The sellers could've saved a lot of time and money if they had a home inspection prior to listing. This is great information to share with prospective home sellers. We rarely see this done too Amanda. Is it a good idea? Absoultely as you point out! Hello Amanda, Great suggestions about pre-inspection, Sometime I recommend it and sometimes I pass. Can I reblog this in May? Great post and generally speaking a pre-listing inspection is a good idea. We can all appreciate having a homeowner willing to admit there the property is not in perfect condition. Setting expectations is another positive result from the inspection. Hello Amanda - suggesting a pre-sale inspection to some sellers may be uncommon in some areas and widely accepted in others. The same is true for agents too. Business is practiced differently even in the same market. Your analysis of positive/ negative aspects of each is good. Good afternoon Amanda - I certainly see this a a win for the seller. I would certsinly want to know. 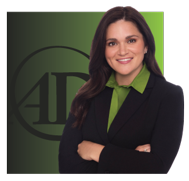 Hi Amanda S. Davidson - You always do such a thorough job with these informative blog posts. I do my best to add something that might benefit the reader but never can find anything to add. What this tells me is that you and your team are exactly the type of broker and agents that I would want representing people. Anyone who hires you is hitting the jackpot! I think the benefits outweigh the detriments as well, but then again, sometimes not knowing something is better than knowing, haha. Hi Amanda... I've never sold one of my own homes without an pre-sale inspection. I hate surprises and don't want my buyer to be anything but delighted with their selection of my house. Agreed...more pluses than minuses and always something we recommend in an estate should any financial stumbling blocks be discovered...call this RE-Blogged ! Ha! A market I have been trying to crack for years! And I got a call to do a pre-listing inspection just before I got home to the computer today (between appointments, I have another appointment later)... that one is scheduled for next week. Amanda, important points, pro and con! The hardest part about having a pre-listing home inspection (after speaking with my principal broker about this) is that we have to disclose EVERYTHING that was found. And that could scare a potential buyer away. I look at it this way: one home inspection offers the opportunity for a seller to offer items to be repaired as a good will gesture to prove that the seller wants to make it right and it makes the buyer feel that they are getting what they want. For example: if a roof needs to be replaced: get 3 estimates and then decide what you, as the seller want to offer towards that as a credit. Some buyers may opt for the higher priced metal roof, but the seller doesn't want to go that route. It is up to the buyer to make up the difference then, but they get what they want, as opposed to settling for a comp roof that was already put on prior to a sale. After finding out what an owner has to repair, rather than get that done, they may have to offer a LOWER price because they can't afford to have major things fixed. Selling AS IS can certainly also scare a buyer off. Rehab loans might work in this case. Or a cash buyer who knows how to do all of these home repairs. Very gray areas here. The most amount of litigation cases in real estate are related to property disclosures. Dicey, for sure! Gayle Rich-Boxman Fishhawk Lake Real Estate I think you bring up a really good point - the disclosure factor and then that leads into it varying by each state. It really can get dicey on what's best and is just another reason that working with a local agent who is an expert is so important. You, my friend, are so on top of your game and every detail, you never cease to impress me!